Welcome to Week 4 of the Summer Sampler Series 2018 : Summer Road Trip quilt along. I'm excited because this is my first block design to be shared with you! This week we are traveling to the pyramids of Egypt. I named this block Giza. The top and bottom of the design are inspired by the entrance to the Great Pyramid of Giza. 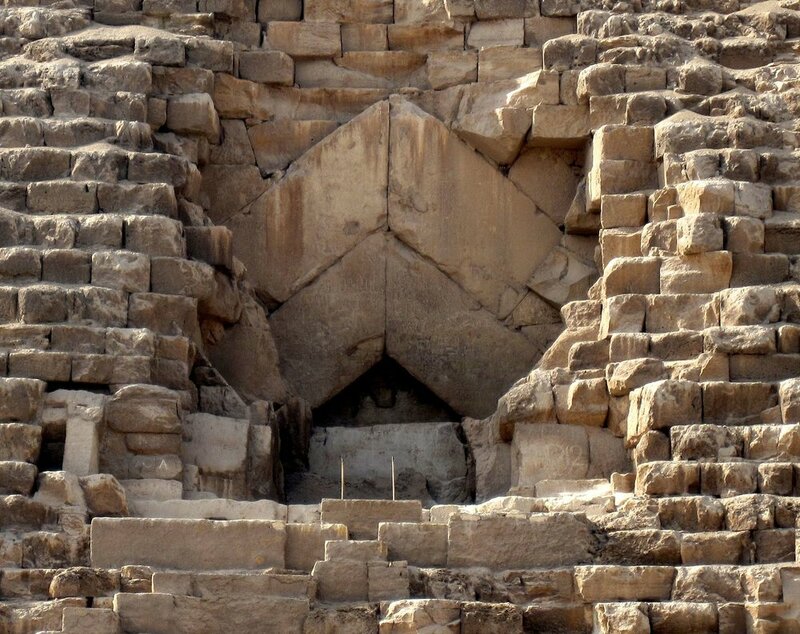 The sides of the block are a nod to the pyramid itself. When I drafted up this pattern, I was super excited about it. But when I started looking closer, I had no idea how we were going to assemble it! (Total designer problem! lol) All I could see were y-seams everywhere, and I was hoping to avoid those. I eventually figured out a way to foundation paper piece the block. You all should be experts after last week! My tips this week are to once again remember to print those templates out at "100%" or "Actual Size", and to write your fabric colors onto the spaces of your templates. I can't wait to see everyone's blocks! I hope you enjoy making it as much as I did.